Easter is just a few days away. What are you going to cook up for this special Sunday morning for your family and friends? Take a little extra time to plan out your menu. This will allow you to make a healthier meal and not stress last minute. No one needs to get worked up or stressed around the holidays. You are supposed to enjoy them! Here are 5 nutritious and tasty recipes you can prepare for Easter Brunch that are full of nutrients and still taste good. Happy Easter! 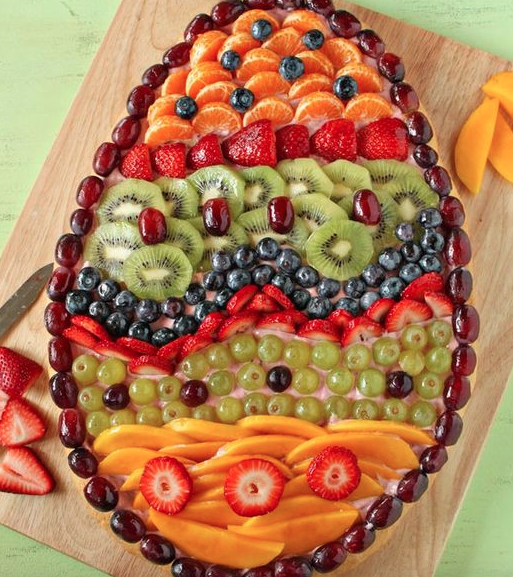 What a fun and beautiful dish to prepare for Easter brunch! 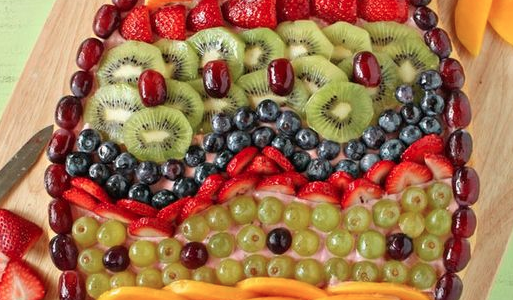 This Fruit Pizza dessert has a light crust, is not too sweet and loaded with fresh fruit! It won’t weigh you down and it is guilt free compared to other sugary desserts. It also looks like an Easter masterpiece and tastes just as amazing as it looks. Look at the colors in this dish! You know you are eating superfoods when it looks like this. Are you tired of the same ol’ salad you always serve for lunch or dinner? 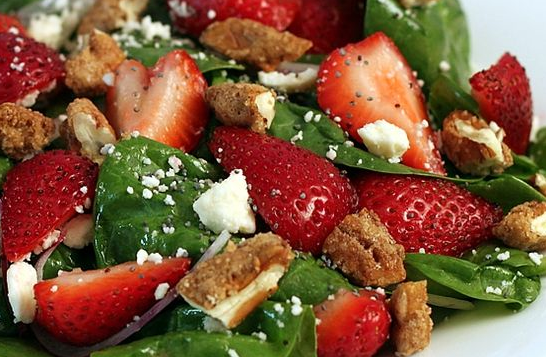 Try out this Spinach and Strawberry Salad recipe! It is simple, tasty and healthy. What a way to brighten up your plate! 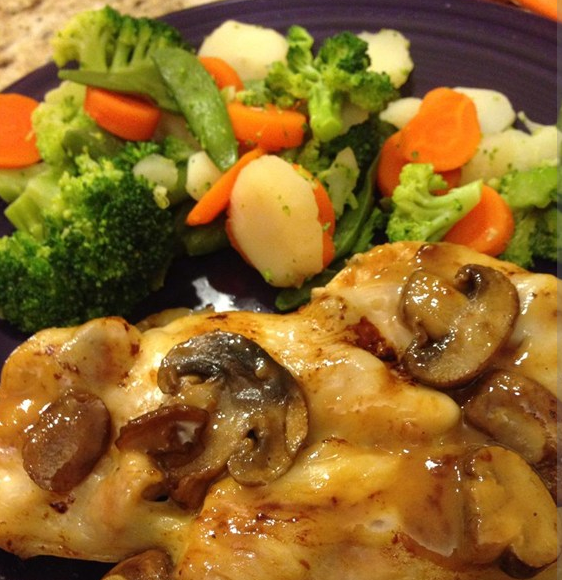 This Easier Chicken Marsala recipe is a family favorite. You will surely impress your guests with this mouth-watering recipe. The sauteed mushroom, garlic and marsala wine sauce will definitely be a crowd pleaser. This meal is packed in protein and will keep you full while enjoying the Easter day’s activities. Everyone loves a frittata, especially one loaded with delicious veggies such as asparagus, tomatoes, garlic and spinach. 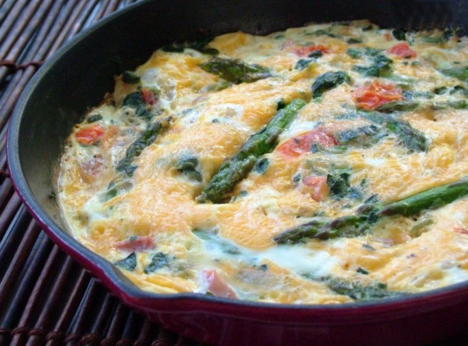 Try this simple Asparagus Frittata recipe out! Feel free to embellish it with whatever combination of veggies you like or what you have in the fridge. If you want to add an extra salty kick, throw in a bit of bacon, ham or cheese. Mmmm…good! 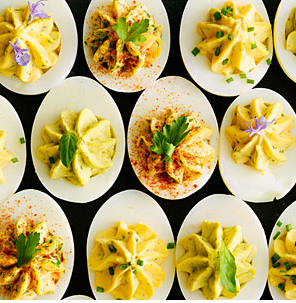 Skip the mayo today and try something new with this Greek Yogurt Deviled Egg recipe. I always hear about greek yogurt recipes, but have yet to give too many a try until recently. I have found greek yogurt can replace mayo or sour cream in many recipes. It makes such a healthy substitute. Greek yogurt is much lower in fat content than mayo and tastes just as good!